The Warlis are the largest tribe found on the northern outskirts of Mumbai. The name is derived from the word ‘Warla’, which means ‘piece of land’. 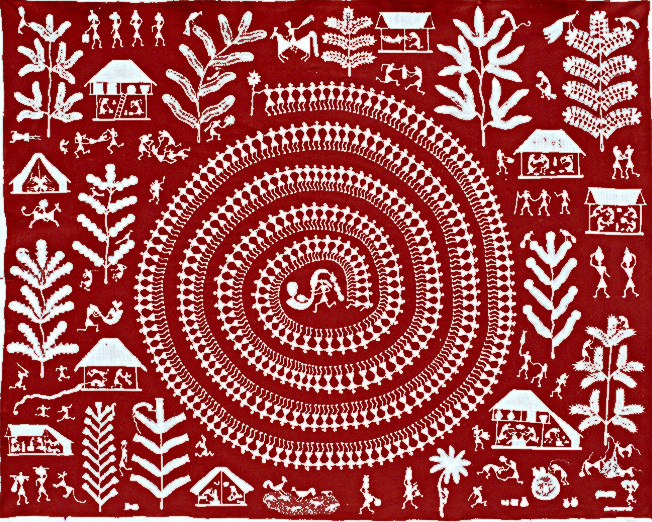 Maharashtra is known for its Warli folk paintings. These are vivid expressions of daily and social events of the tribe, used by them to decorate the walls of village houses. The trademark of Warli paintings is the use of geometric designs such as triangles, circles, dots and crooked lines to depict human figures, animals, houses, crops etc. The circle represents the sun and the moon, and the triangle is derived from mountains and pointed trees. The square indicates a sacred enclosure or a piece of land. The subject on which Warli art is done includes festivals, harvests, marriages and other celebrations. Women are mainly engaged in the creation of these paintings. These tribal paintings of Maharashtra are traditionally done in the homes of the Warli people. An interesting fact about Warli paintings is that it is rare to see a straight line; it usually is a series of dots and dashes that make one line. The artists have recently started to draw straight lines in their paintings. 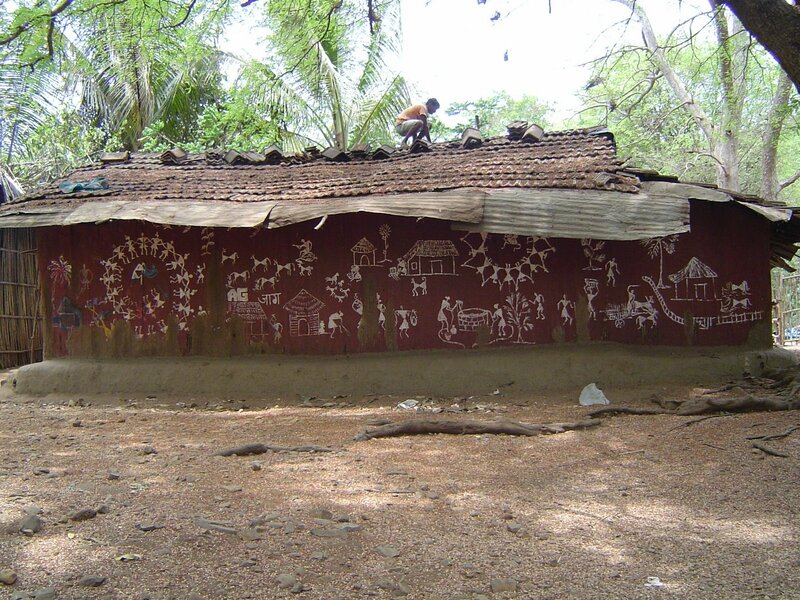 Warli paintings are ancient painting made on the walls. The colours used were not permanent. But the paintings were made again on different occasions. 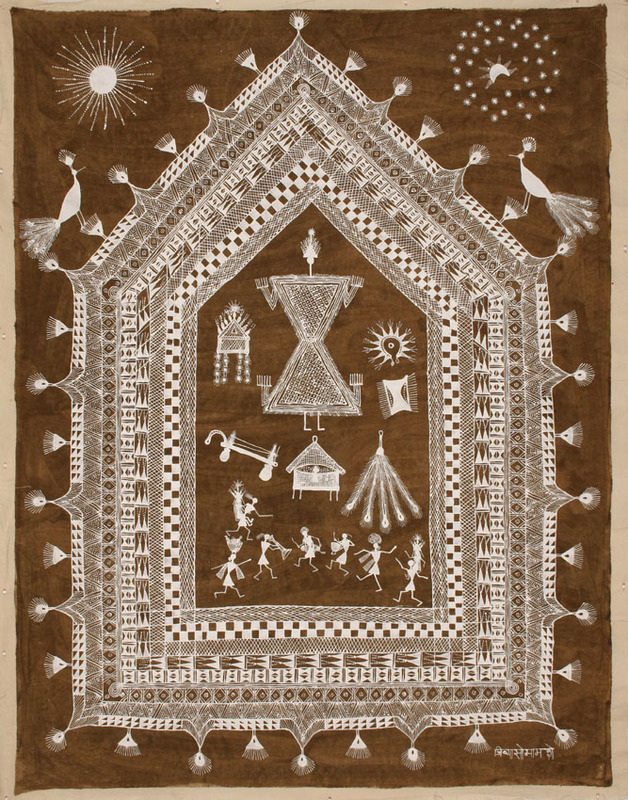 Today, Warli paintings on paper, cloth and canvas have become very popular and are now sold all over India. Small paintings are done on cloth and paper but they look best on the walls or in the form of huge murals that bring out the vast and magical world of the Warlis. It s actually a great and useful piece of info. I am glad that you simply shared this helpful information with us. Please stay us up to date like this. Thank you for sharing. I just want to tell you that I am beginner to weblog and really liked this blog site. Likely I’m planning to bookmark your site . You really come with really good posts. Many thanks for revealing your web page. Wanted to drop a comment and let you know your Feed isnt working today. I tried adding it to my Yahoo reader account and got absolutely nothing. Have you thought about adding some relevant links to your article? I think it might enhance my understanding. What may you suggest in regards to your submit that you made a few days ago?